It was back in the late 1680's when Simon van der Stel was governor of the Cape that the French Huguenots came to the Cape Town and were given farms along the Berg River. 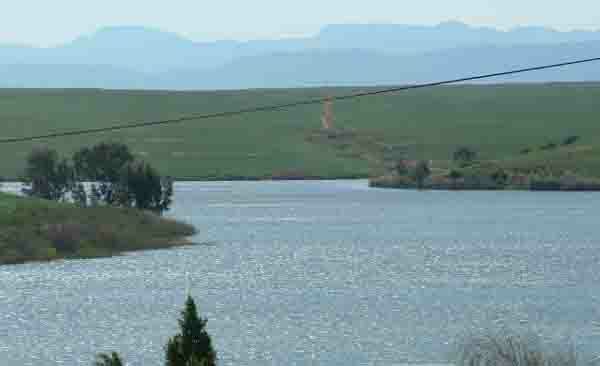 Since then the farmers have used the Berg River for irrigation of their crops. Due to the increases in the population of Cape Town it has become necesssary to find additional sources of water to provide for the future needs of the people. The Berg River which has its source in the Hottentots Holland Mountains, flows through Franschhoek , Paarl and northwards entering the sea near Velddrift on the west coast. 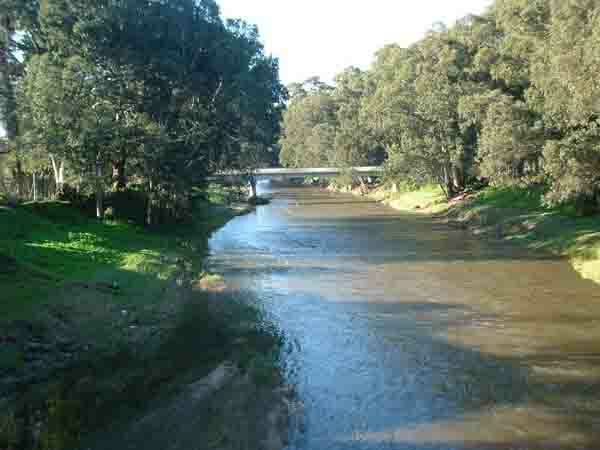 It is an important river as it supplies water to a number of dams and towns along its course and it is these places that could be threatened when the new dam comes on stream. The Voelvlei Dam near Gouda has a gross capacity of 172 million cubic metres of water and a net annual yield of 105 million cubic metres which is fed into the Cape Town water scheme. Being an off course dam it gets its water via canals from the river. The Misverstand dam near Moorresburg is built in the river and got its name from a misunderstanding between two farmers who were building the dam. As a result of the disagreement the dam wall was never completed. 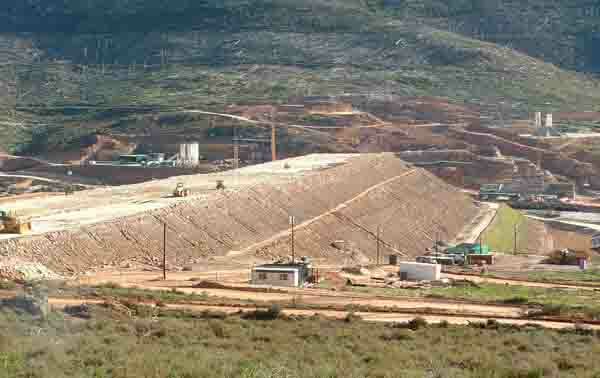 The Berg River dam also known as the Skuifraam Dam is being built near the source of the river will when completed have the highest concrete faced rock filled dam wall in South Africa. Other interesting statistics are that the dam will have a surface area of 535 hectares and a net storage capacity of 129 million cubic metres of water once complete. The dam wall including its foundation will be 70 metres high and 990 metres long. Before being granted contracts contractors had to agree to stringent guidelines set up by the authorities to enable the participation of people in the area and to gain their buy in to the project. In terms of the contracts 75% of the labour force to be used on the dam had to come from the Franschhoek area and a total of 80% of the workforce from the Western Cape. Black Enterprise Participation (BEP) also had to be actively involved in the procurement process of goods and services. So much so that contractors supplying cement had to employ black transport contractors to transport cement to the dam. The area that is to be flooded once the dam is complete is covered with alien bush. Part of the requirement by the authorities was that this bush had to be cleared. The four year plan to clear the bush seems well advanced as when I visited the dam site this weekend much of the alien bush had already been removed. It was estimated that the bush clearing exercise would create work for an additional 180 people. A question that must be asked is why Cape Town has a problem with water. Statistics show that Cape Town's population has grown by an average of 50,000 people per month since 1994. With many of the gold mines on the Rand laying off staff due to unprofitable mines the workers who once worked on them have to find employment elsewhere and so move to Cape Town in order to look for work. As they have nowhere to stay many of them join the millions already in the squatter camps on the outskirts of the townships. Table View along the west coast is another growth area. It has one of the fastest growing populations being housed in formal housing and the demand for water in this area is growing steadily each year. Over the years the west coast has always had a slow growth due to the fact that there had never been enough water to allow for a large population. Since water from the Berg River and the Breede River have come on stream it has allowed the West coast to flourish. Today however, the farmers are worried that the new dam will curb their supply of water from the Berg river. Rationing of water will affect food production where wheat is farmed in the drier areas towards the north and fruit and grapes in the Paarl area. Authorities have already limited the building of new farm dams along the course of the river so farmers could have a valid gripe if the new dam stops the flow of water lower down the Berg River. I am no expert but to me its only logical that each dam in the river will take its share of water before allowing water to flow further down the river. Of course authorities cannot allow that to happen so there will have to be extensive monitoring of the entire river once the new dam comes on stream. It would be a great shame if the West coast once again found itself without water. Completion of the new dam is scheduled for 2008 so anyone who has a problem with the new dam should take it up with the authorities before then. In the meantime paddlers and farmers should take advantage of the full river after the recent good rains we have had here in Cape Town.